...because Litchfield tend not to do bad things. They like to focus on the important bits. The sad news, according to the article, is that Nissan sold only 4 Track Editions in the UK last year. Perhaps this iteration will help those sales a bit, as it's only four grand more than Nissan's unmodified Track Edition. The problem for Nissan is that this Litchfield version is nearly £50k cheaper and more powerful than their Nismo GT-R. I suppose having little red bits on your bodywork is well worth the extra £50k? Of course, another option is that Litchfield can get your standard GT-R to 640hp for about £5k (Stage 4 + upgraded exhaust) to give you a 'similar' end product. Or you may think that a basic GT-R should be enough for anyone? Without the luxury of test driving all the options, which one would you prefer as a birthday present? I think they are flogging a dead horse. The car is now ten years old and although it's bhp has increased steadily over that time much of this has been absorbed by stricter emissions control. 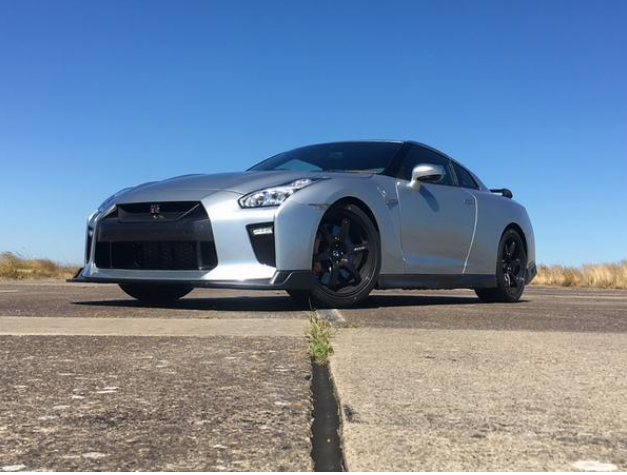 There are certain things about both the NISMO and Track Editions which would be nice to have most of them don't relate to performance in either power or handling. The Litchfield upgrade path (to be fair, like most performance upgrade paths) is about power, brakes, exhausts, handling, etc, etc. May be I'm past my trackday years but I would far rather see more focus on improving the details of the driving controls and interior (e.g. the MY17 whilst being an significant interior upgrade still doesn't have seat position memory - yes, there may be normally only one driver but every time the interior gets cleaned the seats get moved and its back to finding the optimum position again). Almost every new car I sit in has better driver controls than the GT-R. Someone needs to focus on its touring role rather than trying to improve the already phenomenal performance. And those sort of things aren't the sort that Litchfield specialise in. I think that's really sad . . . that Nissan only sold 4 of the Track Editions in the UK last year. I'm slightly surprised considering how well it was reveiwed in some of the more performance-orientated press. However, although I don't want to say it, I think John is right for a lot of buyers nowadays. Compromised performance - diff chuntering at low speed, and a lack of every possible comfort within - seems to be a really hard sell nowadays anywhere between £25k-£125k or thereabouts. That's a shame, I think. I like a bit of compromise. Rather that than the next GT-R becoming a £120k 700bhp version of Louis XIV's bedroom. Quite agree John. Having done lots of touring - 3 to Europe so far this year and one more in September, the GTR is not the most comfortable car to sit in for 5 -7 hours driving. I hear good things about the Litchfield suspension but on my 8 year old car with 81k on the clock, I can't justify the £5-6k for it. Nope, couldn't bear to go that low.